At this time the next three grades total a $90 investment over the course of three years. Fees are subject to change. The Royal Art Society also accepts donations. The meaning behind each grade is revealed as the alchemist advances. 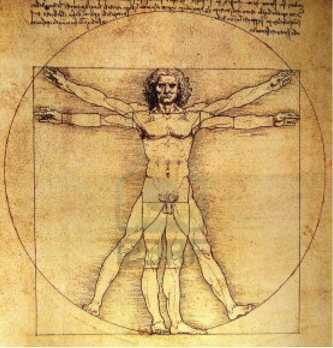 The Grade of Man (gender-neutral Homo sapiens) is so-named in reference to humankind without implication of gender. Male pronouns are often used in the Book of the Royal Art, the foundation literature of the society, for convenience in a gender-neutral sense, because English, unlike Chinese, for example, does not possess a gender-neutral pronoun. The Royal Art Society is a system of holistic education. The ground level of the Royal Art is the state of nature. It cannot be considered to be an alchemical grade. The first level of Royal Art Society symbolic alchemy is purification. The apprentice alchemist empties himself of conditioning or “acquired life-force.” The second level involves crafting an organized worldview. The master alchemist builds a physical, moral and intellectual structure that is based on a holistic ideal. The third level sees the alchemist live the holistic ideal through cultivation and growth, becoming an ‘Illuminatus’ or ‘Perfected Immortal.’ The fourth level is physical death. The alchemist must return to the ideal- the One- even physically, that is, completely. This level is represented in the Royal Art Society grade system only symbolically; as a funeral rite. The Royal Art Society reserves the right to revoke the membership at any time without refund of any member who becomes a liability to the Society due to gross misconduct. The ultimate goal of the Royal Art Society as a resource is to offer the apprentice alchemist a broader understanding than that even of the teacher. What took the tutor years to dig up with painstaking research he should be able to present in a matter of weeks. The fruit of the intense study that exhausted him completely should amount to a mere introduction for others. The Royal Art Society applies scientific experimentation to various methods from diverse traditions, and critical thinking to the relevant claims. The society has rooted out the fundamental from the superfluous, and separated out the essential from the limitless web of petty, vain and uninformed babble. We will show you original sources and outlines of all the great works, instead of commentaries written by lesser men, as modern schools are wont to do. We shall begin with the most ancient resources and continue chronologically thru to the present, for an overview of our subject. We will touch upon all aspects of human being. The Royal Art Society systematically explores various cultures and the mystical and meditative practices of those cultures. The alchemist will experiment with a number of types of meditation, and finally practice the one, or a mixture of a few, that suits him or her the most. This is the new style of mystical discipline, which comprehends and transcends all other styles, and is not burdened by human-imposed limitations. The word “mysticism” has two opposite meanings. One definition of mysticism refers to confusion and delusion. A separate definition of mysticism indicates the union of microcosm and macrocosm, the identification with the absolute, which is a state of wholeness associated with meditation or higher consciousness. The mysticism of the Royal Art is the key of wisdom. It is the ultimate end of Homo sapiens. 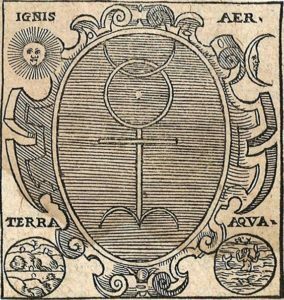 The existence of a variety of alchemical goals in the world is inevitable and this diversity contributes to the function and beauty of the world. Individual beliefs should not get in the way of sharing the Royal Road. By recitation of the elixirs, the alchemist replaces previous acquired conditioning with his or her own automatic responses, so that the body and mind can act naturally and spontaneously. The Apprentice becomes a Master Alchemist when the isolated mortal microcosm dies to itself and a spiritual embryo is born. The Grade of Heaven is designed to instruct this “self-actualized” individual. The degree is intended to translate enlightenment into action. The Alchemist will develop his or her own world-view and way of life with a holistic education and ample experience to support him. Thus the alchemist walks the cyclical path of return to nature and cultivation of the polite arts. The Royal Art Society rituals have all been practiced as solo visualizations, one-on-one guided meditations, and as group ritual including Regular Craft Freemasons and non-Masons, including women. They are best celebrated on the equinoxes, solstices and proper holidays.